When you work with an estate planning law firm, it is important to feel a local connection. 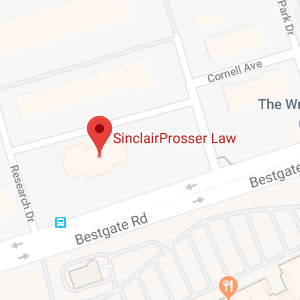 Here at SinclairProsser Law we have been assisting our friends and neighbors in Millersville, MD for a very long time. If you develop a relationship with our firm, you will immediately feel a sense of familiarity. Your comfort is important to us, and we treat each and every one of our clients the way that we like to be treated when we are on the other side of the desk. Estate planning involves arranging for the transfer of your monetary assets after you pass away. There are different ways to proceed. The ideal estate plan will vary depending on the circumstances. You should act in an informed manner when you are planning your estate. If you work with our firm, you can be sure that your true wishes will come to fruition when the time is right. Estate planning is important for adults of all ages. Studies show that the majority of younger adults have not executed all of the appropriate estate planning documents. Many young adults are the parents of minor children. Young families often require two incomes to maintain an acceptable standard of living. It could be argued that estate planning is more important for younger adults than it is for senior citizens. If you do not have an estate plan in place, regardless of your age, action is required. Estate planning and elder law go hand-in-hand. Preparing assets for distribution after your passing is at the root of estate planning. At the same time, you should also prepare for the eventualities of aging. Elder law attorneys assist clients who want to brace themselves for contingencies that they may face during their twilight years. When you are looking ahead toward the future, you should certainly consider the enormity of long-term care costs. The majority of seniors are someday going to require living assistance. Nursing homes and assisted living communities are extremely expensive. If you have paid taxes on your income over an extended period of time, you will qualify for Medicare as a senior citizen. This can lull you into a false sense of security. You may be under the impression that Medicare will cover everything, including long-term care expenses. In fact, Medicare will not pay for long-term care. The program will pay for up to 100 days of convalescent care, but that’s the extent of it. Long-term care is considered to be custodial care. Medicare is not set up to assist with custodial care costs. In the state of Maryland, the average cost for a year in a nursing home is nearly $100,000. It may not be easy to come up with this kind of money late in your life, especially if you want to leave something behind to your loved ones. How do you address long-term care costs? This is the biggest elder law issue of our day. Medicaid is a government health insurance program for people with very limited financial resources. Though Medicare will not pay for long-term care, Medicaid will assist if you can qualify. You may be surprised to hear that Medicaid pays for most of the nursing home expenses that are incurred by American senior citizens. Medicaid is a need-based program. To gain eligibility, you must be able to demonstrate significant financial need. Even if you were never poor, you could potentially gain eligibility by divesting yourself of assets. Many people do this; the process is called “spending down.” Advance planning is required if you want to spend down, because there is a five year look back. You can’t qualify right away if you give away assets within five years of applying for the program. The well-being of the healthy or community spouse is another factor to consider. If you are a married person seeking Medicaid eligibility, effective Medicaid planning will involve working within program rules to make sure that your spouse retains a maximum store of assets. As you might imagine, Medicaid rules are complex. Elder law attorneys understand current regulations thoroughly. When you consult with our firm you can be certain that you are working within the rules to optimize your financial position in advance of applying for eligibility. We are here to help if you are ready to put a plan in place. To schedule a consultation, give us a call at (410) 573-4818 or send us a message to get started.